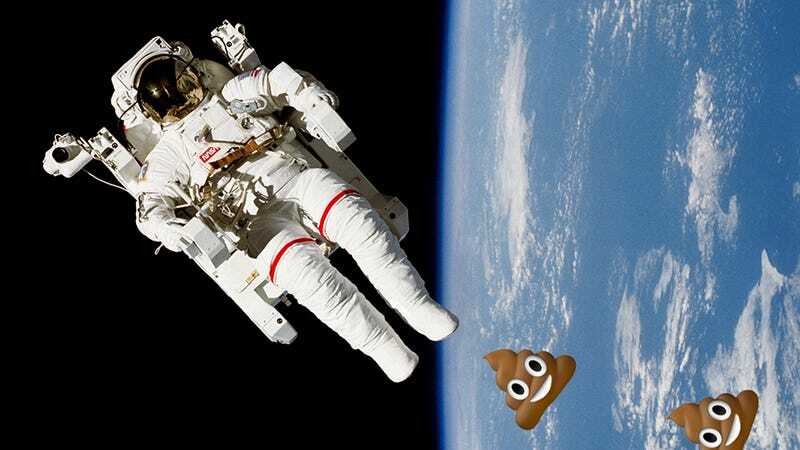 For years, space poop has been handled by NASA the old-fashioned way—diapers. But as the agency gears up to send humans into deep space, it needs a new method that can handle an emergency situation in which an astronaut may have to go longer periods in a poop-filled suit. Today, the ingenious winners were announced. Crowdsourcing site HeroX handled the duties of pulling together all of the submissions for NASA’s judges and it was a record-setting campaign. Since October, more than 5,000 ideas were floated by 20,000 people working as individuals or teams. The concepts needed to be small, speedy, allow for free movement, be appropriate for men or women and theoretically work for several days at a time. In the event that an astronaut had to quickly abandon ship, NASA wants them to be able to dispose of their own waste while they make repairs or whatever the crisis may call for. Cardon’s airlock allows for small inflatable items like bedpans or diapers to pass into the suit. The astronaut will be able to expand the item, do their business, deflate the item and send it off into the expanse of space. Coming in at number two, a group of three people calling themselves the Space Poop Unification of Doctors took home $10,000. The SPU’s design uses an air-powered system that is fueled by “passive and active normal body movements.” It pushes the waste away from the astronaut’s body and stores it in a different section of the suit. Third place ($5k) went to Hugo Shelley, a man who normally works as a product designer in the United Kingdom. His design—titled “SWIMSuit- Zero Gravity Underwear”—is a bit like a cross between underwear and a wetsuit that keeps its wearer dry. “It features a new catheter design for extended use in microgravity, combined with a mechanism that compresses, seals and sanitizes solid waste,” Shelley tells NPR. The announcement of the competition winners comes on the same day that rumors are leaking about a crewed mission on the first launch of NASA’s Orion rocket in 2019. It’s possible that flight could send human’s looping around the moon once again and hopefully, they will never need a clever way to poop in their suit for days at a time.